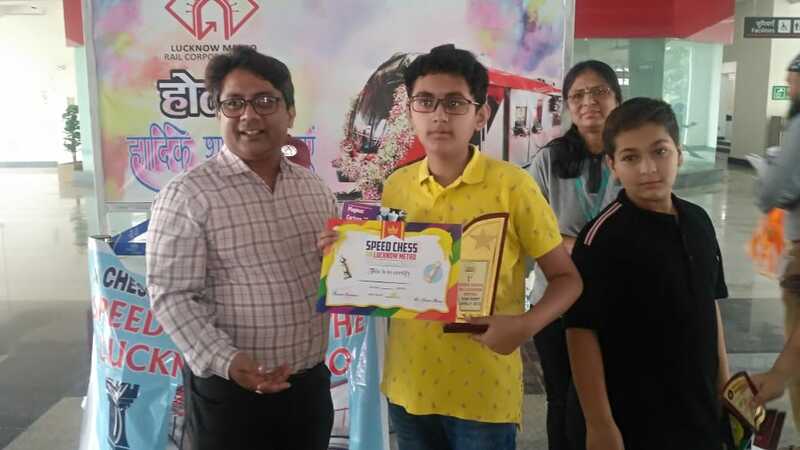 GIANT LEAP FOR CITY: SPEED CHESS ON LUCKNOW METRO: Lucknow took a giant leap in chess awareness Sunday morning (April 7, 2019) with several chess whizkids in the age-group of 8-15 playing a speed tournament on the Lucknow Metro from the IT station to airport – a revolutionary concept, which is the first in India and only organised in tube rails in Europe. Fourteen-year-old Aryan Singh of Jaipuria School won the Chess Club Black & White (CCBW) Speed Chess trophy and Himmika Amarnani, city’s top-rated Under-14 player was awarded the Best Girl trophy. Lucknow’s youngest FIDE-rated girl player Sanvi Agarwal also participated in the tournament. 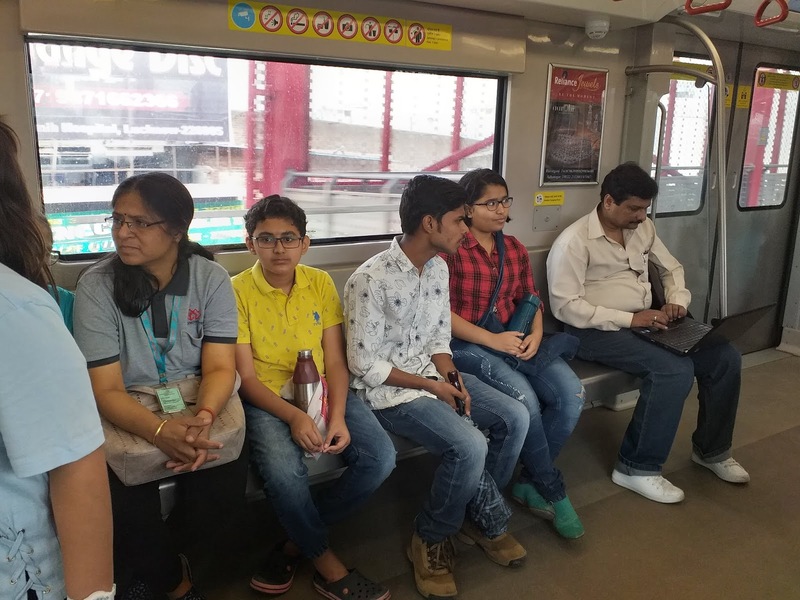 The event was supported by the Lucknow Metro Rail Corporation with CS, PRO, Pushpa Belani accompanying the team through the entire stretch. Morning Metro commuters were in for a surprise when they saw boys and girls playing speed chess with a three-minute time control in twin Metro coaches. An added draw was the youth members of the Ilyas Khan group playing guitar and playing Bollywood songs to cheer the players on. 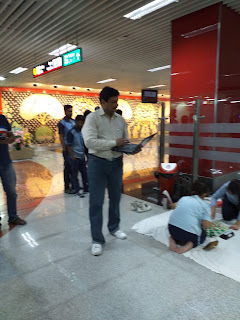 The speed of the chess moves on the 64 squares matched the speed of the Metro skimming through the city skyspace. 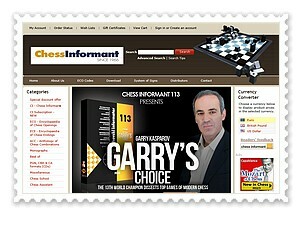 “If you love chess, you can play it anywhere, anytime. 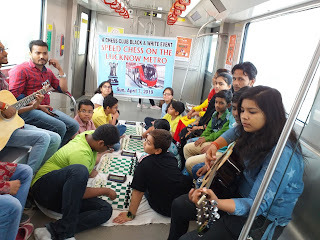 And like the Metro, chess resonates in the history, art and culture of Lucknow. We wanted to tell Lucknowites to come out and play,” said Dr Junaid Ahmad, CCBW director and former UP chess champion. 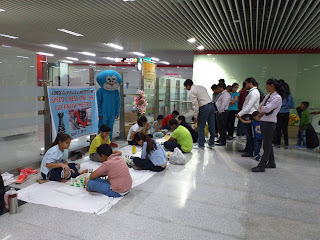 Urdu poet and chess lover Anupam Srivastava, who was the chief guest, said he was impressed by the quality and sharpness of the chess moves by the kids in such an environment. 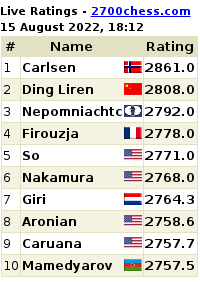 Usually chess tournaments are organised in quiet halls. FIDE arbiter Hemant Sharma pulled off an acrobatic feat by balancing the laptop in one hand and conducting the parings in the moving Metro.